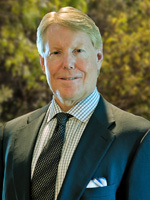 Charles W. Randall, M.D., is the medical director of Clinical Research for the Gastroenterology Clinic of San Antonio. His specialty interests include esophageal disorders, functional bowel syndrome, therapeutic endoscopy, new endoscopy techniques and inflammatory bowel disease. A faculty member of the University of Texas Health Science Center, Dr. Randall has been recognized with several teaching awards. He is listed in Consumer’s Research Council of America as one of the country’s best gastroenterologists. He is listed in Best Doctors in America. He is the recipient of the 2005 Presidential Award from The American College of Gastroenterology for best research paper. He has authored many science articles and a text book chapter. In addition to clinical practice, research and teaching, Dr. Randall frequently lectures at national medical conferences. A native of San Antonio, Dr. Randall attended medical school at the University of Texas, Galveston, and completed his residency at Vanderbilt University Medical Center. He completed fellowships at Barnes Hospital and Washington University School of Medicine. Dr. Randall is proficient in Spanish.